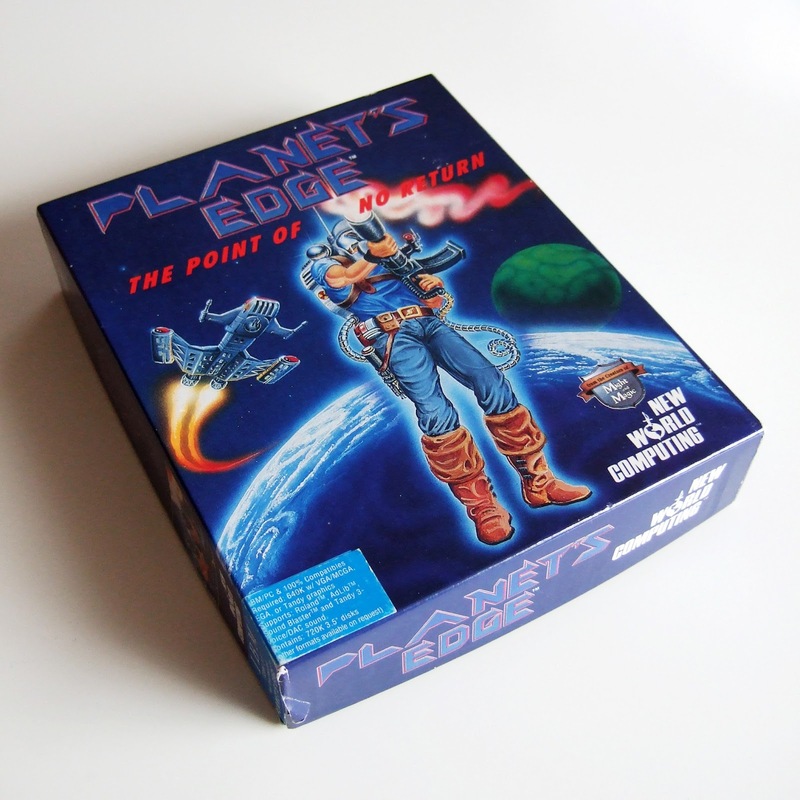 Have any of you played--or even heard of--the PC game called Planet's Edge? (It was made by New World Computing, perhaps best known for producing the Might and Magic series.) No worries if you haven't, as the game came out all the way back in 1992 and I've yet to run into anyone who claims to remember it. Regardless, I have fond memories of playing the hell out of this outer-space-based RPG as a teen. In particular, I have fond memories of exploring--on foot, with my four-member party--the many, many planets (Wikipedia says there are hundreds, which means I barely scratched the surface of the game when I played it) of Planet's Edge. All that said, I'm not entirely sure why I brought the game's box and disks from my boyhood closet to my current home in Seattle, as our PC doesn't have a disk drive. For nostalgia's sake? It wouldn't be the first time. Thankfully, it seems I should be able to download a copy of Planet's Edge fairly easily (such as here and here, I think). Should I be able to get it up and running, I'll give it a go for old times' sake and then (attempt to) write up a "somewhat gay" review of it. Your boyhood closet makes me incredibly jealous! I've never heard of this game, but I love old PC games, so I'm going to have to try and check this out some time! That just seems so advanced...even for TODAY! I think so, too, Justin, although I've read that this game in many ways apes earlier PC releases like Starflight and Star Control. I wouldn't know, though, since I have pretty limited experience with PC games. That does look like a cool game, at least from the box`s cover art. 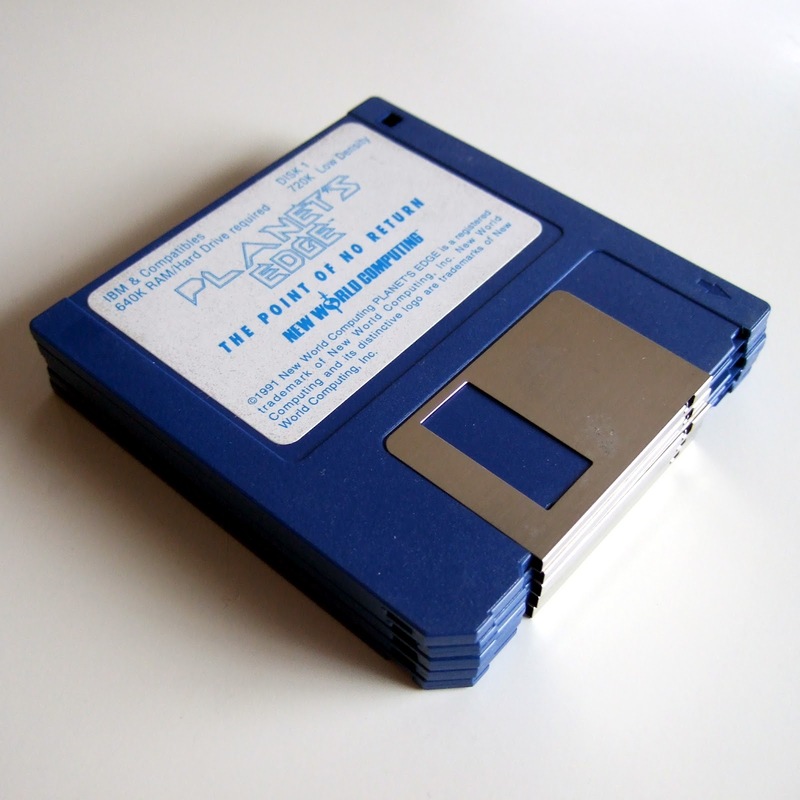 I do miss playing games that came on disks like that. I had an Apple IIC as a kid and most of my childhood gaming memories are actually games played on floppy disks rather than carts.